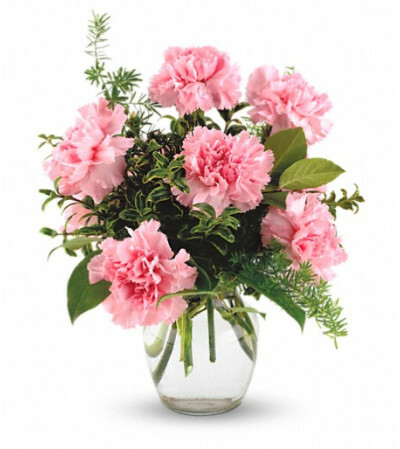 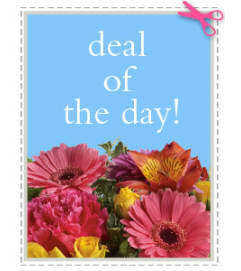 Pure, long lasting enjoyment in a simple glass vase of carnations and mixed foliages. 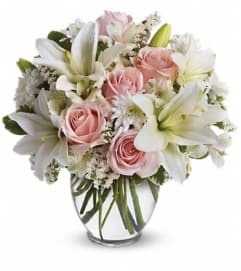 The perfect little treasure to show someone you care. 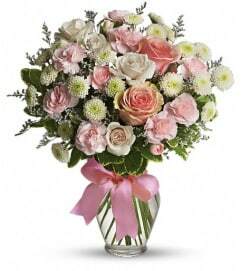 Soft pink carnations are combined with rich greens.